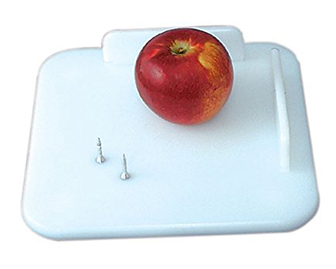 A cutting board with spikes to hold food (fruits, vegetables, etc) in place while they are cut with a knife. Also has built up edges to make applying spreads onto bread more easy. Great for people with one handed weakness ie. those affected by stroke. 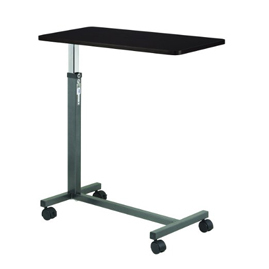 A table on wheels that can be moved easily and is height adjustable. Commonly used in the living room or for people that have great difficulty or are unable to get out of bed.